News: Online Payment and Scheduling System is Up and Running! 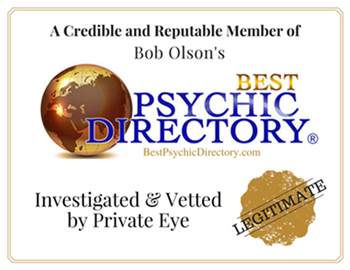 Last year, right before my husband’s health crisis, I had just begun to put together tools for you to pay for mediumship readings and schedule appointments online. It’s taken me a long time to figure out (as you may know, grief muddles your mind) but I, hopefully, have everything properly linked. Please go to my Contact Me page to start the process. You simply need to click on the link, pay, then schedule your session. You will be asked for two choices of days/times. Also, please know, only your first name is required along with your phone number and email. I will confirm one of your two choices and we’re all set. It’s quick and easy. I am now taking appointments through March 2018. There are still a few openings for this week still available. Thank you for your patience while I worked on this process for you. If you know of anyone who has wanted a mediumship reading with me but may have been shy about emailing me to schedule a session, please direct them to my Contact Me page. Copyright 2017-2018 – All rights reserved. This entry was posted in mediumship, News and tagged appointments, fees, mediumship, messages from the other side, News, readings, scheduling, validations. Bookmark the permalink.